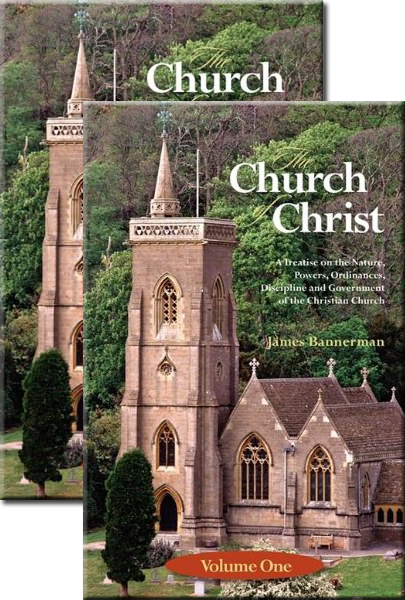 “The Church is a Divine institution, owing its origin not to man, but to Christ, and associated together not in consequence of human arrangement, but by Christ’s appointment. No doubt there is a foundation laid in the very nature of the religion which Christ came to promulgate, for the union of His disciples in one body or society. The faith which each man holds for the salvation of his own soul js a faith which joins him to every other believer. The close and mysterious union which is constituted by faith between him and his Saviour, is a union that connects him through that Saviour with every other Christian. In becoming one with Christ, he becomes at the same time, in a certain sense, one with all who are Christ’s. The spiritual fellowship that a believer enjoys with his Redeemer, is not a solitary or a selfish joy, but one which he cannot possess alone, or except in common with other believers. It is the very nature, therefore, of the Gospel to be not a solitary religion, but a social one. When Christ, through the mighty operation of His Spirit, brings a sinner into reconciliation and communion with Himself, He ushers him also into the fellowship of reconciliation and communion with all other Christians. When the work of grace is done upon the soul of man, and the barriers of separation between him and his Saviour are cast down, and the sinner who was afar off is brought near to God, the very same work of grace removes the obstacles that hindered his union with other men; and in the fellowship of one faith and one Lord he discovers a new and mightier bond of attachment and union to his fellow-believers. Were there no positive command or appointment, therefore, requiring Christians to unite together and to form on earth a society joined together by the profession of the same faith, the very nature of Christianity would force such a result. In the profession of it in common, men would find themselves insensibly drawn to other believing men with a power not to be resisted; and in the bonds of the same Saviour and the same Spirit they would feel and own a nearer tie than that of kindred, and a holier relationship than one of blood. In the common joys and sorrows which Christians, and none but Christians, share,—in the one faith and one Saviour in which together they rejoice,—in the same hopes and fears, the same sin escaped, and the same salvation won, in which they participate, there is a union of the most intimate kind produced and cemented, which is not with them a matter of choice, but a matter of inevitable necessity. We may assert, therefore, that that Christian society which we call the Church of Christ is a society framed by Divine appointment, even did we see in it nothing more than a body of men brought together by the constraint of the same faith and same affections wrought in them by the Spirit of God. But there is much more than this intimated in Scripture, on which we ground the assertion that the Church of Christ is a divinely instituted society. There are express commands in Scripture, leaving the believer no alternative in the matter, and requiring him to unite together with other believers in the outward and public profession of his faith before the world. He is not left at liberty to hide that faith within his own heart, and himself to remain alone and separated from his fellow-believers. It is the office of the Christian society to be a witness, by means of an outward and public profession, for Christ on the earth; and it is not a matter of choice, but of express obligation, with a Christian man to join with others in that public profession. The command is ” to confess Christ before men ;” ( Matt x. 32; Luke xii. 8; John xii 42; Rom. x. 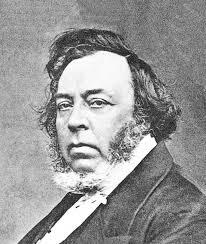 9) and upon the ground of that command, then, is laid the foundation of a society, each member of which is called upon, whether he will or will not, to lift up a public testimony for his Saviour jointly with other believers; and that public profession is one to be made not merely with the lips, uniting with others in a common declaration of the faith believed. Hey Buddy!, I found this information for you: "The Church is a Divine Institution". Here is the website link: https://thouarttheman.org/2012/12/08/the-church-is-a-divine-institution/. Thank you.